Aqua Hot Tubs are Berkshire’s longest established hot tub dealer and display the Wellis and Villeroy & Boch range of Hot Tubs. We have a fantastic showroom at Ladds Garden Village in Reading, and a second open at Smiths Garden Centre in Uxbridge. Aqua Hot Tubs have been in business for over 12 years and we pride ourselves in the customer service and support we provide to all our customers. We take care of everything for you. Do you require a hot tub base, awning, log cabin, electrics, disabled lift or hoist, landscaping or sauna? – no problem. Ask about our special Hot Tub/Gazebo packages, saving you time and money. 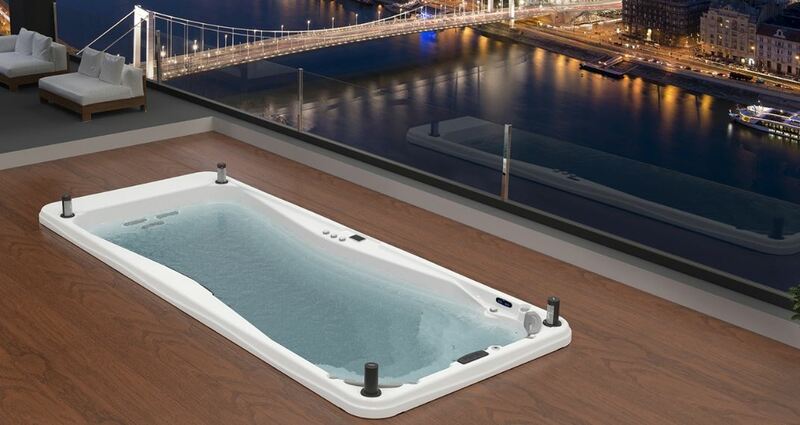 Aqua Hot Tubs have two Showrooms displaying our great range of Hot Tubs and Swim Spas. One at Ladds Garden Village, Reading, and one at Smiths Garden Centre, Uxbridge. Come down and take a look and we’ll make a deal you won’t regret.